This season, I have really been focusing on simplifying my wardrobe and honing in on the pieces that I love and can be worn an endless amount of ways. 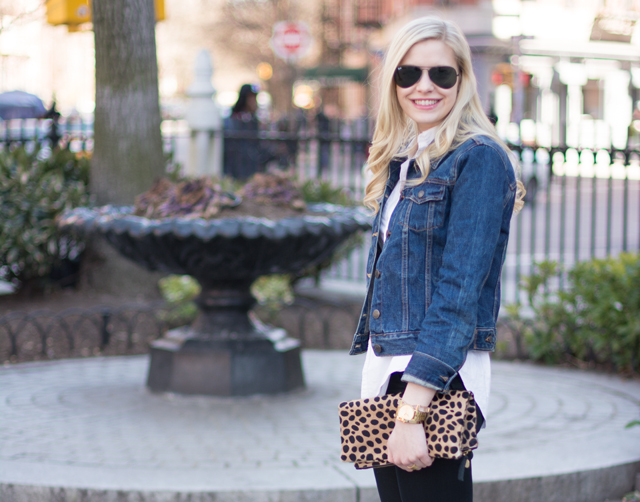 A denim jacket is one of these items and I have been reaching for it more and more as an extra layer. It’s a basic I have had in my closet for years, but I find myself wearing it more this season than in the past. The black jeans, white button down, and leopard clutch I am wearing here as well are also basics I depend on in my wardrobe. I wear all of these items once a week, if not more frequently. It’s classic pieces like these that make your wardrobe work day in and day out. P.S. 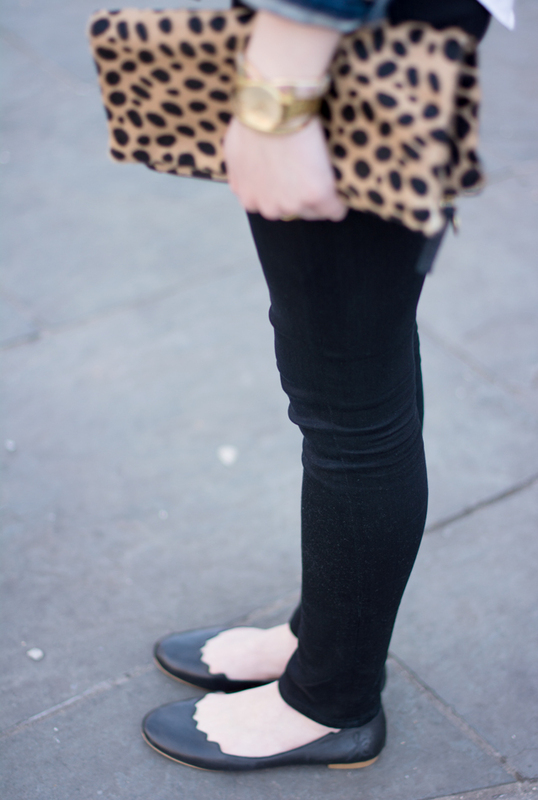 I wrote about these Sam Edelman flats a couple weeks back and I have been wearing them non-stop. They are so comfortable and I have gotten lots of compliments on them!